Increasing demand for electricity, as well as concern about environmental degradation and global warning, has accelerated the need to develop renewable sources of power. More than 250,000 megawatts (MW) and 12,500 MW are the estimated capacities of the world and US kinetic hydropower markets, respectively. According to the U.S. Energy Information Administration (USEIA), “electricity generation is expected to nearly double between 2001 and 2025.” Growth in the developing world will be approximately 50% greater than the worldwide average. The economic, environmental and social factors that limit the growth of traditional hydropower will work to the advantage of small-scale hydropower. The Electric Power Research Institute (EPRI) believes that “free-flow”, or kinetic hydropower systems could be hydropower’s answer to distributed generation (DG)–putting generation close to consumption. The first set of tidal turbines is scheduled to be deployed in 2006. 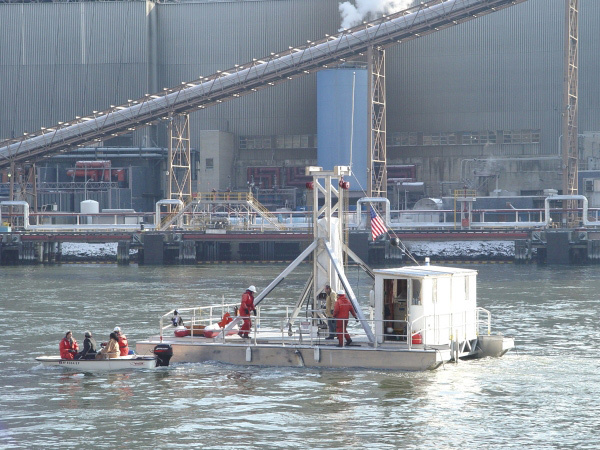 The eventual field of underwater turbines, in NY’s East River, will have a capacity of up to 10 MW. 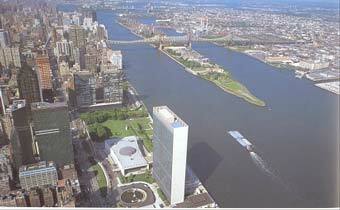 “If you see a barge floating near Roosevelt Island this month, you might be seeing the future of renewable energy. 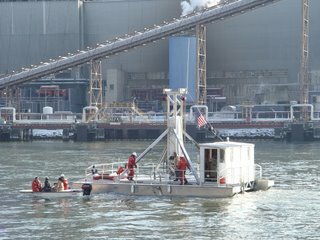 Workers are installing two underwater turbines in the East River near Roosevelt Island to generate electricity. Peter Smith, president of the New York State Energy, Research, and Development Authority says they’re like underwater windmills, 16 feet in diameter. SMITH: So as the tide goes and in and out they use the kinetic energy to turn the turbine to generate electricity. When the first phase gets going by mid December, they’ll generate power for a supermarket on Roosevelt Island. 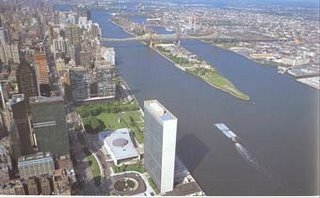 The state is hoping to eventually build the equivalent of a small power plant in the East River, and another one by Long Island. Integrating Sustainability Into Facilities With An Eye On WasteHere are a few ways to further integrate sustainability into daily business operations. Friday Funny: You Won’t Believe Your EyesThe Museum of Illusions opened in New York City this week, treating visitors to a bounty of mind-bending illusions. Ohio Cement Plant To Be Powered By Wind EnergyThe Paulding, OH cement plant will be the first LafargeHolcim operation in North America to harness wind energy.